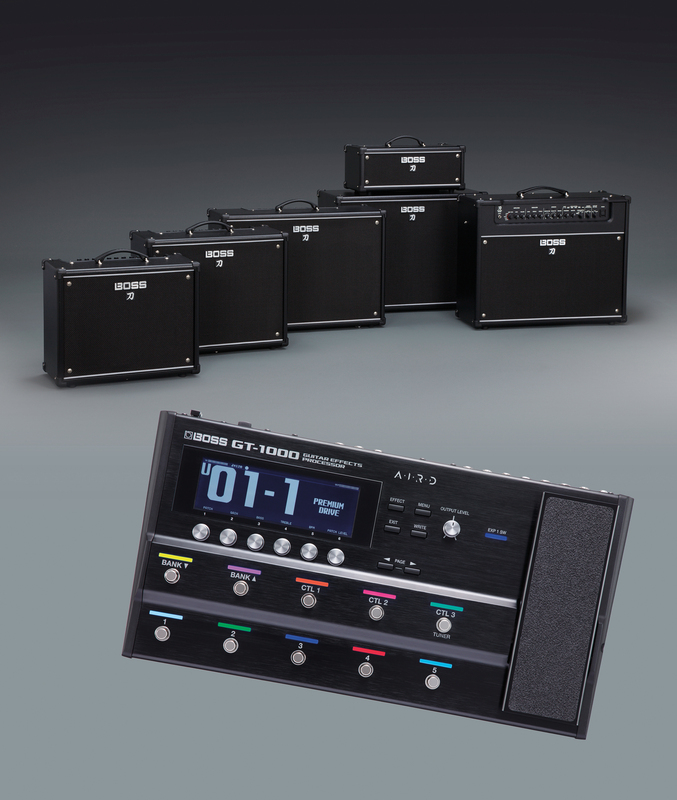 The NAMM Show, Anaheim, CA � BOSS (Exhibit 10702, Hall A) announces firmware updates for its GT-1000 guitar effects processor and its Katana guitar amps. The Version 2 firmware update for the GT-1000 Guitar Effects Processor is free for all GT-1000 owners. This user-installable update expands the processor�s extensive feature set with four new AIRD preamp types, three new overdrive/distortion effects, and three new Master Delay types based on classic analog echo machines. Since its introduction in January 2018, the GT-1000 has received universal acclaim for its class-leading sound and feel, extensive effects, versatile real-time control, and travel-ready size. Standout features include a high-powered custom DSP engine, 32-bit AD/DA, 32-bit floating-point processing, and 96 kHz sampling rate throughout, plus the ability to edit patches wirelessly via built-in Bluetooth� and a dedicated app. The GT-1000 debuted BOSS�s groundbreaking AIRD (Augmented Impulse Response Dynamics) technology, which is based on the comprehensive Tube Logic concept behind the Katana, Waza, Nextone, and Blues Cube amplifiers. The Version 2 update adds MATCH COMBO, BG COMBO, ORNG STACK, and BGNR UB METAL preamp types, increasing the number of onboard AIRD preamps to 20. For BOSS�s Katana guitar amplifiers, a free Version 3 update further enhances these stage-class models. This feature-rich update adds three new effect types that are perfectly matched for the Katana�s Brown amp character, bringing the onboard effects total to 61. Other improvements include the ability to assign favorite parameters to the front-panel effects knobs and connected expression pedals, as well as the option to record with stereo effects when tracking in a DAW via USB. All Katana stage-class amps include integrated access to a wide selection of BOSS effects, which are customizable using the free BOSS Tone Studio editor software. With Version 3, the legendary Roland DC-30 Analog Chorus-Echo, iconic BOSS GE-10 Graphic Equalizer, and expressive 95E pedal wah effects have been added to the mix. The Version 3 update also provides the ability to assign favorite parameters to the front-panel effects knobs, giving users greater flexibility for shaping their own unique effects tones on the fly. Additionally, it�s now possible to control specific effects parameters from up to three expression pedals connected via the rear panel and an optional GA-FC foot controller. (The GA-FC is compatible with all Katana stage-class amps except the Katana-50.) Supported Katana amp models include the Katana-Artist, Katana-50, Katana-100, Katana-100/212, and Katana-Head.